Thank you for your support making 2016 another great year to be in Schnitzelburg! Take a moment to check out our December Newsletter! 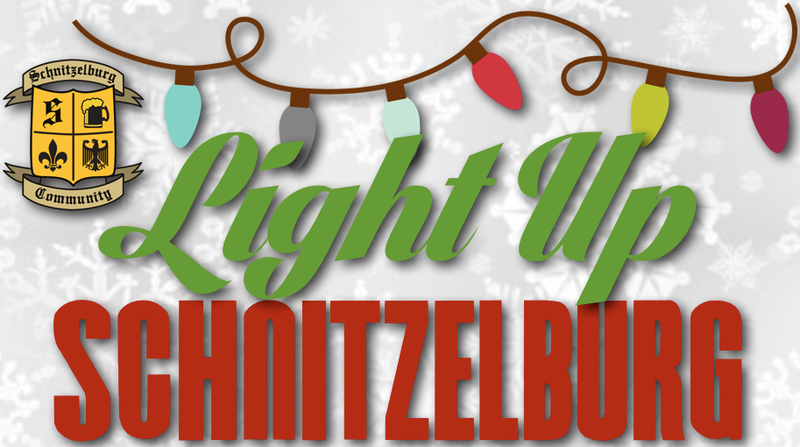 We hope to see you on Sunday, December 11th at Light Up Schnitzelburg! We'll meet at 5:30 at the Jim King gazebo in Emerson Park (corner of Hickory and Sylvia Streets) to socialize with Santa and neighbors while enjoying hot chocolate and sweet treats. Afterwards, join us as we carol down Hickory Street! The event is fun and family friendly! Dress warm and consider bringing a non-perishable food item for the Dare to Care Food Bank. Also, please shop local this holiday season! We are fortunate in our area to have so many unique local businesses to make shopping this holiday season easy! Check out the business listings on the last page to find awesome local businesses to shop this holiday season! Most businesses also provide gift cards, so whether you want to treat a friend or family member with food and drink, a massage, a salon visit, or appliance repair, Schnitzelburg has your holiday shopping covered! It's a great opportunity to stop in a business you've always meant to visit and be sure & tell them SACC sent you! We should certainly welcome this celebration with a plenty of drinks and delicious meals. This will make this day a memorable event. That was pretty interesting. I think that it would be really great if you'll make some other notes as well. I hope to see some more materials in here.